CBS was no newcomer to educational programming over Radio. Its world-renowned CBS News Division and Special Affairs units began producing literally hundreds of public interest, homefront, and wartime broadcasts from the mid-1930s, forward. Following the cessation of World War II, CBS' Special Unit and Educational programming returned to a focus on recovery and normalization throughout America. By 1948, Television had begun making significant inroads to Radio's previous 25 years of dominance in popular media. CBS had already begun airing its landmark 'docudrama' history series, CBS Is There, during the Summer of 1947. The popularity of CBS Is There--and its intentional appeal to young and old alike--prompted CBS to expand their 'family-oriented' programming even further. 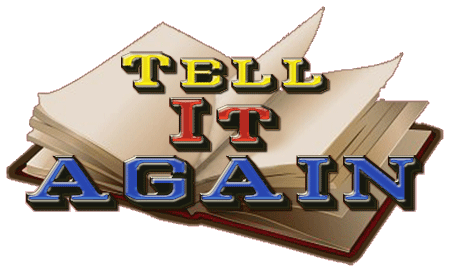 Leveraging the popularity of CBS Is There, CBS debuted its family-oriented retrospective of adaptations of many of history's most popular and enduring novels with its Tell It Again series. Entertaining for both young and old, Tell It Again brought sixty-eight well mounted dramatizations of World literature to Sunday afternoons in a half-hour format immediately preceding its already popular CBS Is There series. Tell It Again premiered on January 11th 1948 with the Robert Louis Stevenson classic, Treasure Island. Hosted and narrated by Radio veteran Marvin Miller, Miller also performed in a great majority of the series' episodes, showing the versatility that quite deservedly had already earned him the moniker 'the man of a thousand voices.' Ralph Rose produced and directed the new series, also adapting most of the series' novels to their abbreviated 30-minute dramatic format. Tell It Again was delivered in a decidedly youth-oriented tone, while at the same time dramatizing each of the novels of the series in a manner and style equally compelling to all members of the family. Celebrated organist Del Castillo provided the underscore and interstitial music at the organ. 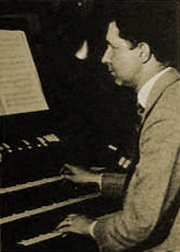 Having emigrated to California in the early 1940s, Del Castillo soon became one of the West Coast's most respected organists and music directors. It's worth remembering that this was still an era of 'Family Dinner' or Brunch, generally prepared and enjoyed after returning from Church or Synagogue. As such, CBS wisely aired both Tell It Again and CBS Is There [or You Are There] to coincide with that 'family table' time of the early afternoon. Having replaced Doorway to Life, the back to back dramas presented more balanced family fare in the vision of CBS' Radio programmers. But during the waning days of Tell It Again CBS began airing the popular family-oriented series at 10:30 on Saturday mornings, effectively foreclosing any possibility of a wide family audience at that hour. The series ran for only ten more epsiodes after the Saturday morning time change. It was replaced in the mid-morning CBS lineup with Music for You. But that was by no means the end of the road for the popular, well-produced and written program. The Armed Forces Radio Service began adopting Tell It Again for its long-running Bookshelf of the World series, airing throughout the world. Beginning early in 1948, the Armed Forces Radio Service (AFRS) began denaturing recorded dramatizations of World Literature under its catch-all Bookshelf of The World canon. These AFRS-denatured recordings were culled from various dramatic series' previous aired over American Radio such as, Tell It Again, Hallmark Playhouse, Radio City Playhouse, NBC University Theater, and Great Scenes from Great Plays, among others. Bookshelf of The World aired in both the Pacific Theater and European Theater between 1948 and 1960 in various rebroadcasts. The canon comprised at least 150 episodes. Run Dates(s)/ Time(s): 48-01-11 to 49-07-02; CBS; Sixty-eight, 30-minute programs; Sunday afternoons, then Saturday mornings. Principal Actors: David Ellis, Marvin Miller, Ken Harvey, Ramsey Hill, Helen Jerrold, Don Morrison, Jeff Chandler. Recurring Character(s): Varied by production. 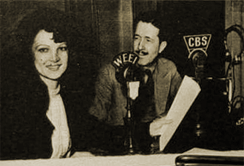 Starting this afternoon at 1:30 WOAN will broadcast CBS Tell It Again, which Is a weekly program which dramatizes some famous American literary work. This week Tell It Again offers s dramatization of Washington. Irvlng's America's classic The Legend of Sleepy Hollow. Ralph Rose writes and directs the program which, comes directly from Hollywood. 12 m.--"The Son of Man" (WBBM): third annual presentation of Archibald MacLeish work; CBS Symphony orchestra and chorus in Bach's B-minor mass. 8 p.m.--WPAY-CBS: Beginning this week, "Tell It Again" will be broadcast in the time slot replacing "You Are There". "Tell It Again" is a dramatic series presenting tales for one and old. Ralph Rose is producer-director-writer of the show. September 18, 6:30 p.m. "David Copperfield" Charles Dickens' great novel is brought to life from the Bookshelf of the World. Tuesday's Dial Lights: From The Bookshelf Of The World Charlie Kingsley, who was trained for the ministry, although instead he became known as a poet and novelist, providing a most unusual ending of serenity to this rip-roaring adventure of life at sea. Sunday, November 28, "The Black Arrow," Marvin Miller narrates this familiar Robert Louis Stevenson storyThe story of Richard Shelton whose own cleverness and mysterious help from one known only as the "Black Arrow" saved his own estate from falling into the hands of a cruel ruler. WVTG at 6:30 p.m.
"The Little Minister"WVTG listeners will hear another outstanding "Bookshelf" dramaa radio adaptation of a story selected from the world's finest literature. "The Little Minister" is the story of a small man with a big heart. It tells of a Scottish minister whose faith and resourcefulness overcome the resentment of his congregation who believe that their pastor that placed his church second to his own wants, 6:30 p.m., Wednesday and 8 a.m., Thursday. Tuesday's Dial Lights: Bookshelf Of The WorldThis story by Jules Verne doesn't contain the fantasy of the futuristic usually associated with Jules Verne. Instead, it is an adventure story of a mythical time in Russia, with a spy for the Czar running into exciting adventure in his missions as a spy. There's a love story element too. Marvin Miller is the narrator and Ken Harvey plays the leading role. Tuesday's Dial Lights: Bookshelf Of The WorldSylvia Simms in the title role and Marvin Miller as the narrator star in a deeply dramatic story, based on history, of the French- peasant girl in the fifteenth century who inspired and saved France from the English, only to be burned at the stake, still deep in the faith of the heavenly voices which had guided her in the her leadership. Tuesday's Dial Lights: Bookshelf Of The World"The Hunchback of Notre Dame" . . . The story of the hunchback bell ringer of Notre Dame Cathedral, who gave his life in the futile effort to save the life of an innocent girl accused of sorcery. . . .
Saturday, January 22. From the Bookshelf of the World: "Dr Jekyll and Mr. Hyde" stars Jeff Chandler in the title role in this dramatic radio adaption of the story of a man who tried to be greater than God, but who destroyed himself by the other chemical being which he created. Air time. WVTG, Saturday, January 22, at 6:30 p.m. Rebroadcast time, Sunday, January 23 at9 a.m.
Camille," WVTG will bring you this famous. story by Alexander Dumsas at 6:30 p.m. It is the story of Marguerite Gautier, very ill, but very vivacious- and how she- tries to cover up the illness by keeping company with wealthy and different admirers. This past forces her to break with the one man she really loves, and-they are not reunited until a few moments before Marguerite's death. Airtime- over WVTG Saturday, April 9, at 6:30. Rebroadcast time 9 a.m. Sunday. April 10. Saturday, April 16, From the Bookshelf of-the World, "Camille." This is the concluding chapter of radio adaptation of this, famous story. The story of Marguerite Gautier, very ill, but yery vivacious, and how she tries to cover up her illness by keeping company with many wealthy, and different admirers. This past forces her to break off with the one man she really loves, and they are not re-united until a few moments before Marguerite's death. Airtime over. WVTC 6:30 p.m. Saturday, April 16. Rebroadcast time 9 a.m.. Sunday, April 17. 6:30 p.m. Saturday, April 22 Rebroadcast time 9 a.m. Sunday, April 23.
the British caste system of separating servants from their employers. Marshall, as the butler, accompanies the family on their yacht, and the group finds itself shipwrecked and castaway on a deserted island. The butler becomes the governor and his employers family is working 'for him. Her ladyship, the daughter in the family, plans to marry the governor. The ship finally finds the island and returns every one to England. Marshall becomes the butler again and everything is quite natural. Airtime over WVTG 6:30 p.m. Saturday, rebroadcast time Sunday, 9 a.m..
Saturday, May 14, From The Bookshelf of The World, "On Borrowed Time." This story, written by Paul Osborne, is a tender tale you will long remember. It is the amusing and touching story of a very old grandfather and his young grandson, and their struggle to resist the forces that threatened their' happiness. The story is one that reaches out to touch all of us, and demonstrates vividly the necessity for courage and faith in the hours of our greatest trials. The star of this production is well, chosen for the part of Mr. Brink; for it is, none other than Boris Karloff. Airtime 6:30 p.m., rebroadcast time 9 a.m. Sunday, May 15. From the bookshelf of the World"The Young King." From the bookshelf of the world's finest literature comes this radio adaption of a beautiful and sincere fantasy authored by Oscar, Wilde. "The Young King," of Wilde's most famous stories, concerns a prince who comes to realize the emptiness of the elaborate preparations being made for his 'coronation. Its theme is simple but deeply spiritual in its significance. Airtime over WVTG is 6:30 p.m. Saturday. Rebroadcast time 9 p.m. Sunday, June 5. From the bookshelf of the world, "The Corsican Brothers"Ken Harvey in the dual title roles, and Marvin Miller as narrator, star in this radio adaptation of the famous early 19th century story by Alexander Dumas. It is the story of twin brothers, as unlike in their own perspectives as. they were alike, in identical appearance. One spends his entire life attempting to avenge family feud of long standing while the other studies law and reads books, finally ending the feud himself through reason and logic, as applied to law. Airtime over- WVTG: 6:30 p.m, Saturday June 11. Rebroadcast time: 9 a.m. Sunday June 12. From the Bookshelf of the World "Goodbye Mr. Chips"Ronald Coleman stars in this radio adaptation of the James Hilton best seller. Mr. Chips was a school teacher, a man whom love touched deeply and then vanished in death. But Mr. Chips found 30 more years of happiness with his students who found Mr. Chips a true friend. for such outstanding novels as "Random Harvest," "We Are Not Alone," "Goodbye Mister Chips." Airtime over WVTG: 6:30 p.m., Saturday, July 16, Bebroadcast time: 9 a.m., Sunday, July 17. From the - Bookshelf of the World: "Wuthering Heights"
This program, "Wuthering Heights," is a work apart, passionate, unforgettable and haunting. This is the story of a love between two people that simply would not die. Airtime over WVTG 6:30 p.m. 'Saturday July 23. Rebroadcast time 9 a.m. Sunday July 24. 2030 Bookshelf of the World: "A Tree Grows In Brooklyn"
2030 Bookshelf of the World: "Great Expectations"
Also Tuesday "Bookshelf of The World" at 6:30 will dramatize a Pulitzer prize-winner "Icebound" by Owen Davis and starring Cornel Wilde. 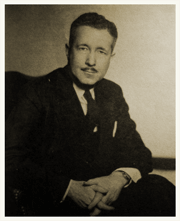 TOKYO AFRSBookshelf of the World, tonight at 6:30 will dramatize "McLeod's Folly" another story by Louis Bromfield. TOKYO AFRSBookshelf of the World, tonight at 6:30 will dramatize "The Moonstone" . 2030 Bookshelf of the World: "The Moonstone"
6-7NEWS, Armed Forces Talk (Your Personal Affairs). 2030 Bookshelf of the World: "A Tale of Two Cities"
APRS Guam will present from "The Bookshelf of the World," Owen Wister's 'The Virginian." The starring role of Jeff will be played by the well-known actor, MacDonald Carey. Airtime 6:30 p.m. Saturday, March 25. Rebroadcast tune, 9 p.m. Sunday. 2030 Bookshelf of the World: "The Virginian"
2030 Bookshelf of the World: "The Lost Special"
2030 Bookshelf of the World: "Little Lord Fauntleroy"
2030 Bookshelf of the World: "The Courtship of Miles Standish"
2030 Bookshelf of the World: "Mrs. Parkington"
2030 Bookshelf of the World: "The Hunchback of Notre Dame"
2030 Bookshelf of the World: "Westward Ho"
2030 Bookshelf of the World: "Arrowsmith"
2030 Bookshelf of the World: "The Necklace"
2030 Bookshelf of the World: "Clay-Shuttered Doors"
2030 Bookshelf of the World: "A Trip To the Moon"
2030 Bookshelf of the World: "Appassionata"
2200 Bookshelf of the World: "Main Street"
2200 Bookshelf of the World: "The Victory"
2200 Bookshelf of the World: "Point of No Return"
2200 Bookshelf of the World: "Jane Eyre"
2030 Bookshelf of the World: "Wayfarers"
2030 Bookshelf of the World: "Knee Pants"
2030 Bookshelf of the World: "Seventeen"
6- 7NEWS, Club 15, Bookshelf of the World ((Yankee from Olympus). "Bookshelf of the World" will be heard at 8 p.m. Tuesday. This week's program will be "de Moritius," a strange story that suggests both fantasy and the supernatural and yet is realistic. Birthplace: St. Louis, Missouri, U.S.A.